Painful bunions can seriously affect your mobility. But a good pair of shoes should help ease the discomfort to get you walking – and perhaps even running again – in no time at all. 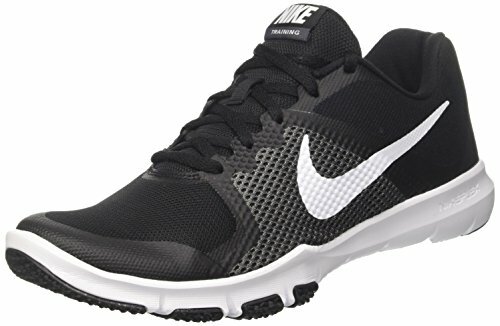 We’ve all come to know Nike as one of the prime brands for any sort of athletic gear. So I decided to check out their line-up to find out whether they offered any suitable footwear for people who want to stay active even with a painful bunion or two. Wondering which ones topped my list? 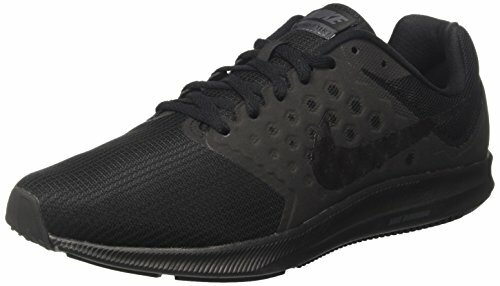 Check out these top 8 picks and my reviews for each one to learn more about the best shoes for bunions from the Nike brand. 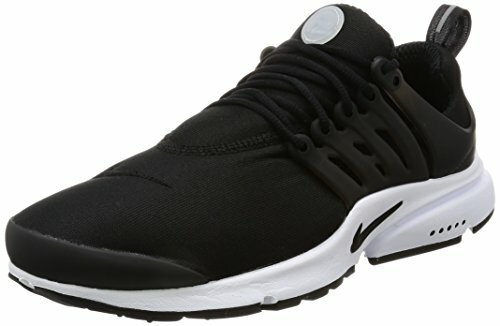 The Nike Air Presto Essential tops my list as the best Nike shoe for Bunions for a couple of reasons. Firstly, the Air Presto is exceptionally soft. And when I say soft, I mean buttery yet dense, giving you that satisfying comfort of responsiveness without the unease of losing your feet in a sea of cushion. The uppers stretch and flex, conforming to your foot and providing breathability for optimal sweat management. Inside the sole construction, a featherweight full length midsole offers exceptional responsiveness and cradles the feet for improved comfort. Running true to size, the Air Presto Essential Shoes were designed to embrace your natural motion. This, plus their roomy toe box, makes them ideal for painful bunions. Featherweight design makes it feel like you’re not wearing shoes at all, giving you the freedom to move without the added weight on your feet. My second pick for anyone struggling with bunions is the Flex 2016 RN Running Shoe. Designed for running, the Flex 2016 is lightweight, breathable, and flexible, offering superb freedom of movement to limit pressure spots and pain where unnecessary. The soft mesh uppers are pliable and highly permissive of airflow. Much like the Air Presto, these shoes have a built-in midsole cushion that helps dampen the impact of heel strike for a more comfortable ride. Finally, I want to mention that the shoes are the perfect example of ideal fit. Locked down around the midfoot region, the Flex 2016 RN is spacious around the toes. This gives you the support and stability you need without losing the space you need to keep your bunions pain-free. When the Roshe Run first came out, they were an instant hit. 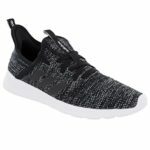 These relatively affordable yet fashion-forward Nike shoes are a favorite among street wear enthusiasts, but they’re suitable for other purposes, too. In terms of comfort, the Roshe Runs are some of the best. With buttery soft yet responsive insoles, they’re nothing short of a dream to walk in. This, in combination with they’re highly forgiving uppers, makes them very comfortable to walk in. 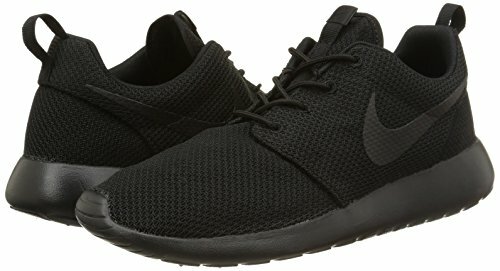 Breathable, lightweight, and pliable, the Roshe Runs were designed for everyday, casual use, and they perform well to that end. 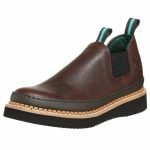 They’re comfortable, stylish, and versatile, offering just enough space up front to accommodate an aching bunion. 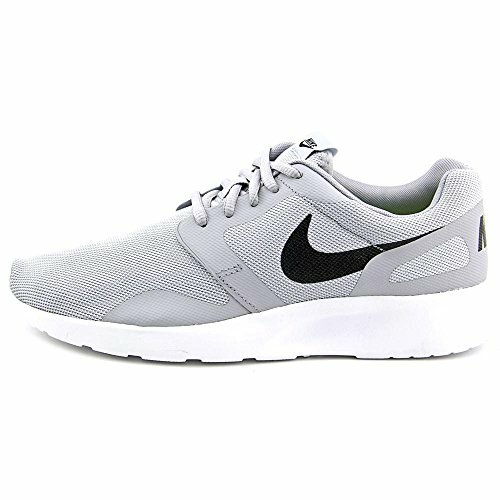 Following the success of the Roshe Run aesthetic, the company came out with the Kaishi Running Shoe. Taking cues from its stylish predecessor, the Kaishi was designed with similar comfort features. The difference is that the Kaishi is better equipped for athletic use such as running. TPU overlays that cover parts of the uppers provide greater stability, and ultimately resolve the integrity issue we saw with the Roshe Run. Save for the soles which also offer substantially more traction, the Kaishi features the same upper material, foam midsole, and low cut silhouette that the Roshe has. Another great pick if you want something that’ll be easy on your bunions is the Free Train Versatility Running Shoe. 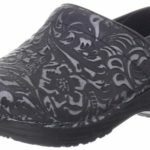 This particular design is a featherweight, allowing you to get around and move without the burden of clumsy shoes weighing you down. 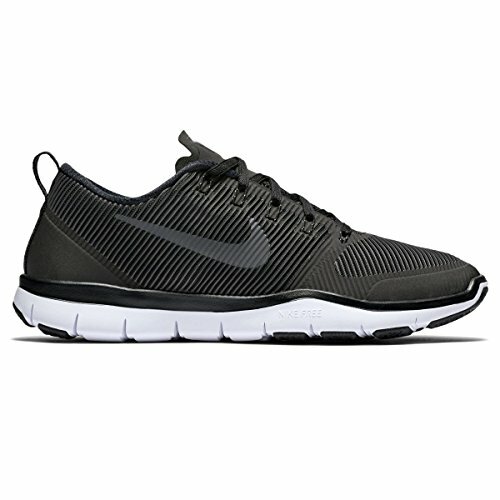 Much like many other Nike running shoes, they’re flexible and breathable, so they won’t be difficult to walk in. FlyWire cables connected to the laces help improve lockdown by adjusting tightness all around for a dynamic fit. Around front though, the Free Train Versatility Running Shoe still maintains a pretty substantial toe box to prevent pressure on the bunions. What’s nice about the Free Train Versatility is that the whole shoe is quite roomy, so the addition of an orthotic insert won’t make them too tight. Runs slightly small. Buy a size up. With an aesthetic similar to the Air Presto Essential, it’s no surprise that the Darwin Casual Shoe offers pretty much the same comfort and performance. 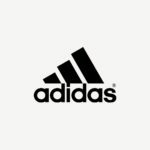 They’re breathable, flexible, and comfortable, especially because they use specially designed injected unitsoles to provide substantial cushioning and bounce. 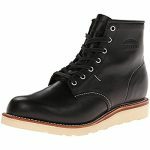 If the Darwin Casual shoe is so much like the top placer in my list, why didn’t it rank higher, you might ask? Well, the main problem lies in the fact that they take a while to break-in. At first, the shoes might feel a little too snug which may deter people with painful bunions from using them again. But once you get past the initial tightness, they start to feel a lot like the Air Presto Essentials. Light, flexible, and soft, the Downshifter 7 Running Shoe is a well-performing athletic design that has also been used time and time again for a variety of special foot conditions. What I think sets it apart from others – especially because it uses the same mesh uppers and rubber outsoles as most other designs – is its articulated midsole which adds a facet of flexibility to the overall build. What’s more, the shoe also has a no-sew midfoot saddle that adds support and improves lockdown for a safe and stable step. 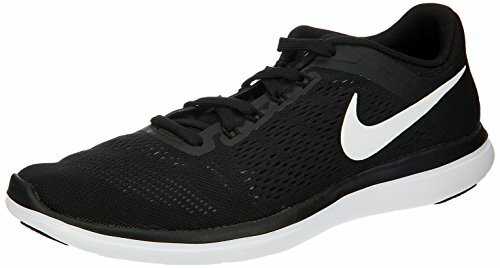 Other than that, the Downshifter 7 is your run-of-the-mill Nike running shoe, banking on comfort and support to give you a reliable footwear choice for daily use. 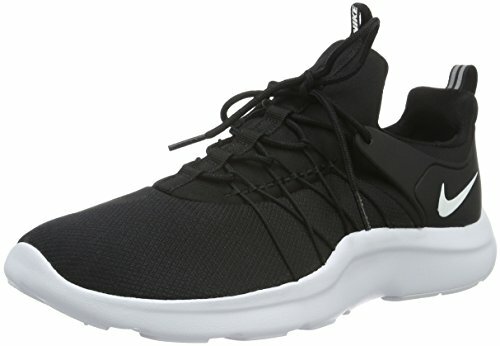 The last shoe on my list of the best Nike shoes for bunions is the Flex Control Low Top Lace Up Fashion Sneaker. With articulated grooves on the outsole and an aggressive tread pattern that’s designed to stick, the shoes are some of the most reliable I’ve seen. Stepping on most surfaces results in a satisfying grip which I personally think is essential if you find yourself adjusting your gait to accommodate a painful bunion. Comfort wise, they’re not too shabby. Cushioned insoles, foam midsoles, and plush padding all keep the foot comfortable in its place for extended periods of walking. If anything, the only reason why I couldn’t bring myself to rank them any higher is the fact that they’re a little on the flimsy side. So do expect some wear and tear a few months in.